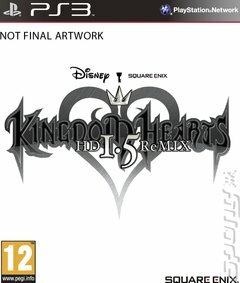 Fully remastered in HD, KINGDOM HEARTS HD 1.5 ReMIX is a stunning collection of the critically acclaimed KINGDOM HEARTS FINAL MIX and KINGDOM HEARTS Re:Chain of Memories, never previously available in Europe and PAL territories. In addition, the collection will feature HD cinematic story videos from KINGDOM HEARTS 358/2 Days, enhanced gameplay mechanics and PlayStation 3 system trophies. 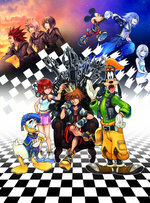 Players can now relive the origins of the celebrated franchise with Sora, Riku and the colorful cast of Disney characters, including Mickey, Donald and Goofy. Not only does KINGDOM HEARTS HD 1.5 ReMIX have higher quality graphics, but the character models and facial features have been updated as well. The story comes to life with more expressive and emotionally moving imagery. In addition to the above, the background textures have been completely overhauled. Camera controls and commands have been revamped to create a more seamless gameplay experience! Until now, special commands like Talk would appear at the very bottom of the menu and players would have to scroll down. But now, the player can activate these special commands by just pressing the triangle button. The Summon command previously appeared at the bottom of the Magic list. But now is featured as its own action and moved directly into the bottom of the command menu. KINGDOM HEARTS FINAL MIX comes jampacked full of new weapons, items, Heartless, abilities, synthesis recipes, and Gummi ship missions!